Starring Steve Coogan, John C. Reilly, Shirley Henderson, Nina Arianda, Rufus Jones, Danny Huston, Susy Kane and Stephanie Hyam. As behemoths of cinematic history, it’s surprising that it’s taken this long for a film to be produced about the iconic partnership of Stan Laurel and Oliver Hardy. It’s also a sensible move of Stan & Ollie’s to focus on their twilight years together, rather than trying to cram in two Chaplin-esque biopics into one movie. The decision to focus on after the peak of their career – based in part on ‘Laurel and Hardy: The British Tours’ by A.J. Marriot – adds more nuance and weight to the story too, as well as a little heartbreak: Laurel and Hardy fell out of favour not so much due to a decline in the quality of their work, or a lack of interest from their audience, but through contractual disagreements with producer Hal Roach, which led to a period of some years where they could not work together. To see the duo on a tour of the UK in 1953, performing whole-heartedly, staying in tired hotels and worrying about audiences inspires sympathy – but Stan & Ollie (as well as Coogan and Reilly) works hard to ensure this never becomes mawkish or pitiful. The first twenty minutes or so of the film are actually its weakest, leading to a vague sense of dread that is then (thankfully) squashed. No one wants to see the opportunity to make a movie about pioneering screen comedians squandered with too much generic exposition and a hint of tweeness, as at the beginning. Luckily, once Laurel and Hardy’s position at the pinnacle of 1930s Hollywood is established (there are talks of a boat party with Clark Gable and Myrna Loy, after all), as well as the beginnings of Laurel’s quarrel with Roach, we are free to jump forward 16 years to the juicy, story-making struggles of their theatre tours. The casting for Stan & Ollie is particularly impressive. Neither Steve Coogan nor John C. Reilly ascribe to the idea of performing a cheap impersonation of their respective character, but rather they offer their own takes on the spirit and physical characteristics of Laurel and Hardy, which is by far the most sensible choice. They are a little too healthy looking compared to the real thing in 1953, but the voices are comforting and the tie-flapping, catch-phrases, hat games and flat-footed ambling are all present and correct. Coogan and Reilly almost have the film stolen from under them, however, by their onscreen wives, Ida Kitaeva Laurel (a star-making turn by Nina Arianda) and Lucille Hardy (Shirley Henderson proving her versatility, yet again). A brilliant constant bickering between the two underscores the film, lending Stan & Ollie some of its funniest moments in the slyness of their delivery. As Laurel and Hardy’s tour producer Bernard Delfont (Rufus Jones) points out, it’s two double acts for the price of one. Incidentally, Jones also does outstanding work as Delfont, crafting the character into a bumbling but jovial fool who can hold an entire conversation with himself. 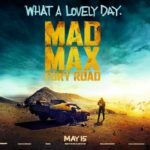 It’s great to see classic songs and sketches from Laurel and Hardy’s back catalogue lovingly recreated in the film, from double door mayhem to ‘The Trail of the Lonesome Pine’ gags. 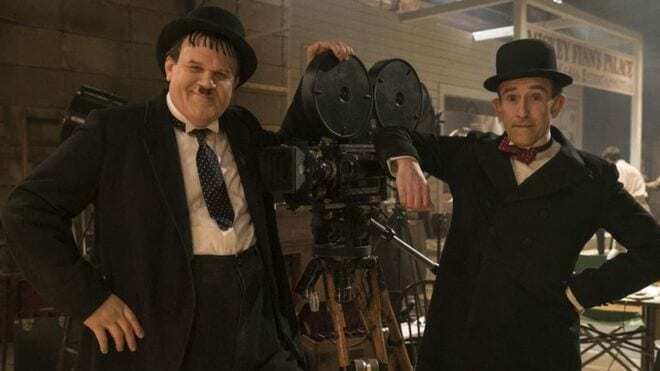 Reilly and Coogan practised these routines very carefully, honouring the legacy of Laurel and Hardy’s original slapstick comedy – it may seem dated now, but it’s still funny and we’ll still likely laugh. 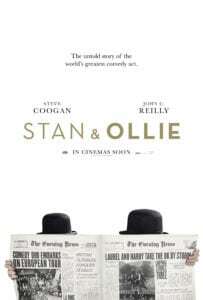 Stan & Ollie is a film about the trials and rewards of partnership, and the love of performing, as well as the importance of fans for all stars (Stan Laurel actually had his home phone number listed in the telephone directory so that he could personally chat to fans if they chose to call). 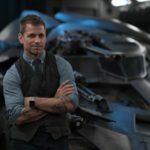 With the men themselves, as well as their wives, presenting as chalk and cheese, it’s fun to see the chemistry that this creates in the film – as well as it did in real life. The performance Coogan’s Laurel and Reilly’s Hardy give in Ireland is given particular bittersweetness by both its brilliance and the toll it takes. The love Laurel and Hardy channelled into their routines is clearly reflected – and respected – by the entirety of Stan & Ollie’s cast and crew, and it shines through onscreen in this melancholic but heartfelt celebration of the double act.